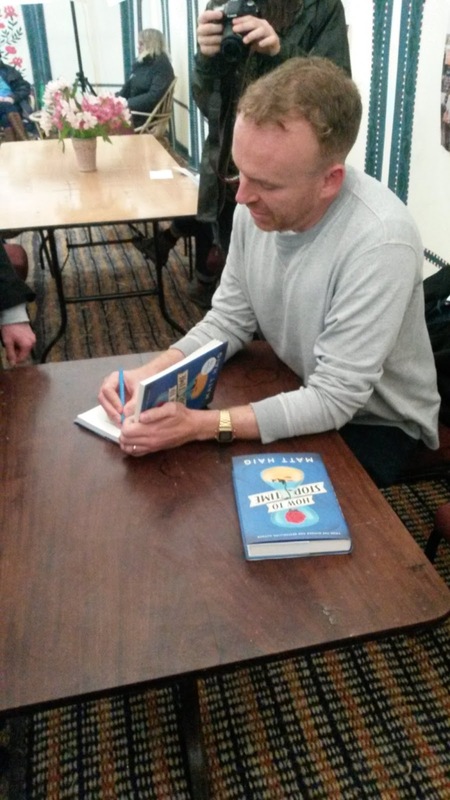 I begin with an apology to Matt Haig. For some reason, I failed to write down his novel, How to Stop Time, in my reading journal and therefore didn't count it in my annual reckoning, (now at 42 and accurate!) or give it opportunity to make my top ten reads, (which it most certainly would have done)! So, if any of you are noting down my top ten as books to look out for this year, then please add Matt Haig to your list! Hubby was very amused at my reaction once I realised my miscalculation! Woe was me for at least quarter of an hour after I had pressed "publish"! Perhaps more woeful is that I have only managed to read one book so far in 2018...I'm going to have to step up if I'm going to complete my to-be-read shelf this year. But, despite my tardiness, the book was excellent, and I am now a committed fan of Anthony Doerr. Many of you will remember that All The Light We Cannot See was my number 1 read of 2016, and so I looked forward to reading About Grace. This was his first published novel, and so I steeled myself to expect something less than his award winning wartime epic. But I needn't have done; I don't think I would rate it as a top read of a lifetime, but it was a very sound start to my reading year. He writes evocatively and sensuously; in this novel he recreates the icy cold of Alaska juxtaposed against the Caribbean blue of a small remote island where the main character spends a quarter century running away from his former life. I really liked this protagonist. Named David Winkler, he is an unlikely central character. He is basically very ordinary, maybe even bordering on dull (aren't we all?!) except for one particular quirk. He sleepwalks. Now I realise that readers who know me well are likely to be chuckling at this point...it is well-known in my family that I have had some fairly spectacular episodes of somnambulism, a trait I inherit from my father and have graciously passed onto to Child 2. My most famous sleepwalking has included, whilst at university, ripping down all the posters in a friend's bedroom, waking a whole corridor whilst screaming "help" and attempting to bang down my Yale-locked door, and perhaps more sinister still, upending everything on my bedside table, leaping out of bed and attempting to jump out of a sash window...I am forever grateful to my now-husband for a) staying over that weekend and b) grabbing hold of me and possibly saving my life! It's amazing he ever walked me up the aisle really! Child 2 has been known to put an entire school uniform down the toilet, and tear down a child safety gate on holiday in France before careering down a spiral staircase and landing in the lounge... and my Dad...perhaps less of a walker and more of a writher; his most famous was a nighttime wrestle with an octopus....so you see, sleepwalking interests me! The main character of About Grace sleepwalks in a manner comparable to my family, but with a twist. He is convinced that what he dreams is a premonition of a life event. This conviction followed his helpless response, when, as a child, he watched a man lose his life under a bus. He had dreamt the whole scene, and as it unfolded before him, he warned his mother of the outcome, but not in enough time to prevent it from occurring. When he dreams the innocuous scenario of picking up a magazine for a customer in a supermarket,we know that when a certain Sandy Sheeler drops her copy of the latest read out of her wire basket that she will become significant in David's life. Indeed, they fall in love and despite complications, they become a couple and have a child: Grace. And it is indeed About Grace where David Winkler's life becomes a living, waking nightmare. After dreaming of a flood engulfing their Anchorage home and "seeing" his own abject failure to rescue his baby daughter from the floodwaters, David becomes tortured by the seeming inevitability of his daughter's death. He tries to avoid sleeping and when he does succumb, he is restless. On several occasions Sandy finds him sleepwalking with Grace in the car, or in a parking lot, desperate to take her away from harm. I'm not going to give any spoilers about the fate of Grace, suffice it to say that David became so terrified of what he might inflict upon her during his sleeping hours that he ran away, hostage to his fears. He blindly took a ship and ended up on a remote Caribbean island. Here, he was befriended by a Chilean family exiled from their home country by political conflict. The story builds on this premise and the reader gains an insight into David's thoughts, fears, loves and losses. But this is literary fiction. It has a strong plot and characterisation. but it is also lyrically beautiful. A meteorologist by profession, David Winkler's passion is the unique and beautiful patterning found in snowflakes. This obsession enables him to engender a love of natural shapes and patterns in indigenous Caribbean species in Naaliyah, the young daughter of his Chilean family. The plot takes him to Kingston, Jamaica and then on a long journey across America from Miami and eventually back to Alaska. The evocation of Caribbean tropical heat and beauty and the snow, ice and life in the depths of an Alaskan winter is breathtaking. I have been "accused" of being unadventurous in my travels. I love the UK and am happy to stay on terra firma, but we venture to France quite regularly and have been known to dabble in an Italian holiday or two. In fact, the children famously informed me that there were more than 2 countries in mainland Europe, and maybe some others beyond that! But, as my lovely bookish friend once said, I am content to travel through the voices and adventures of the characters I read about. Perhaps a little sad, and a little unambitious, but it certainly felt true of this book. The winter months trapped off-grid in a woodshed in Alaska were beautifully described: the sights, sounds and even tastes of the cold permeate the pages. If you like good literary fiction, this is an excellent read. I like David Winkler! 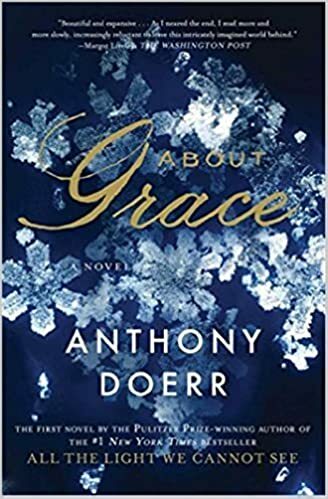 His writer, Anthony Doerr is a master storyteller, who succeeds not only in telling a good tale, but he finishes it well, leaving behind a very satisfied reader.